Over my 40 years of ministry, a common theme has been voices within the church proclaiming the imminent demise of congregations. When I was in seminary at McCormick in the early 1970s, most of my classmates were looking at what in those days were called “tent-making” ministries or they were going to work as chaplains, in campus ministry, and other very important non-parish ministries. They were convinced that congregations as we had known them for hundreds of years in this country were a part of the church’s history, not its future. They were wrong. Today, the voices challenging the future of traditional congregations are louder than ever. I am always grateful for critics of traditional congregations because they are voices of reformation, warning those of us who are committed to traditional congregations that the world is changing and we dare not ignore it. However, the vitality of so many congregations in the D.C. metropolitan area and all across the nation is extremely compelling evidence that the imminent demise of traditional congregational life is nowhere on or even beyond the horizon. The church that is “emerging” is the same church that existed in Paul’s time, my grandparent’s time and our time. Congregations today are strikingly similar to those Paul created as he moved around the Mediterranean. They are filled with people who come together regularly to worship God, argue with each other about who God is and what God calls us to do, help the less fortunate in their communities, take stands against empires and make significant financial and time sacrifices to keep their congregations alive. There is certainly nothing new about small congregations. Paul’s congregations were small just as most congregations today are small. However, let us not equate smallness with death. I see no trend line over our 2000 year history suggesting that congregations are going away. Obviously, a lot of congregations are getting so small that they can no longer call ordained clergy. However, it has always been a mistake to equate the health of a congregation with its ability to call an ordained pastor. We all know congregations with multiple ordained clergy on the staff that are anything but healthy. Furthermore, we need to look at what is happening around some of the congregations that have become tiny. As I traveled around Indiana giving seminars, what struck me were not the dying congregations but the dying towns. Indeed, in a few places, the only buildings that weren’t boarded up were congregations. We always need people in each generation to invent new forms of the church. However, I hope that most Christians will continue to pour their energy into traditional ways of making their congregations faithful servants of God. In our congregations, we need worship that inspires, engages and teaches; spiritual growth programs that deepen our faith; community ministries that transform the lives of those they touch; and a strong sense of belonging among our members. As an Alban consultant, the congregations I work with that are doing these things are growing. The congregations that are struggling at some or all of these things are declining in membership. I don’t think congregational ministry is rocket science. Congregational ministry is long hours and hard work, staying focused on the core things the church has always done, and being disciplined in doing the work of God. We don’t need to reinvent the church. We need to be the church. In my work as an Alban consultant, the relationship between a congregation’s staff and its governing board is a frequent friction point I encounter. Staff members complain about the board micromanaging their work. The board feels as though staff doesn’t keep it informed about their work. In many cases, both sides of the debate are correct. So what does a healthy board-staff relationship look like? Boards need to stay focused on the big picture. If they don’t, everyone will be down in the weeds with no one in the congregation focused on the big picture leadership/vision issues. It is something only the board can do. Where are the priorities of our ministry? Are our programs, staff and budget aligned with our vision for ministry? What resources do we need to strengthen our programs and mission? Are performance measures being realized or not? These are the questions good boards ask. Macro work is what boards do best. Staff has a distinctly different role to play. Staff members are charged with implementing strategies and policies that have been approved by the board. The staff and volunteers make things happen. They work toward very specific performance measures whether it is increased participation in mission projects, more people in attendance, more diverse music in worship or more teachers recruited for the Sunday School. The Head of Staff has responsibility for evaluating the performance of the staff. When the Board is focused on the big picture and the staff on implementation, a congregation will move steadily toward its vision. It will become a performance-driven congregation. It is a thing of beauty to behold. One of the things I noticed in my 38 years as a parish pastor was the way boards will leave the macro for the micro whenever they are given the chance. For example, in my experience, when the Finance Committee reports to the Board, everyone starts to chime in with comments. Budgets are concrete things a board member can understand because each of has to manage our own personal finances. Building issues are similar. Many of us live in homes and so we can speak knowledgeably about a heating, plumbing or roofing issue. Given the opportunity to talk about money or buildings, many board members will jump at the chance. However, what Board members need to be talking about are bigger picture issues regarding money and buildings, to continue with these two examples. The issue isn’t whether the electricity has risen from last year to this year. An appropriate board discussion is: Do we have enough money to move toward our vision? If not, what do we need to do to get more funding? The issue isn’t how we fix a leaking roof. The issue is: Are our buildings adequate for the vision and goals we have created? If not, how do align them with our vision? The Moderator of a governing board has a wonderful opportunity to keep the group focused on issues appropriate to the Board’s role. Left unguided, Board discussions will inevitably move into the weeds. But a skilled moderator will remind people that the congregation has staff or volunteers to cut the weeds. The Board’s role is on another plane. What are we going to plant in the field when the weeds are removed? There are a lot of great books written on this subject. Alban has published a number of them. However, there are plenty of others to read. A good New Year’s resolution might be to read a few of them. Happy New Year! As a pastor and leader in other organizations, I have heard the following complaint too many times to count: “You all need to be more transparent.” For example, a congregation I served created an endowment. It wasn’t long before some members, at a congregational meeting, said, “We need more transparency around the endowment. How is it invested? Who makes the investment decisions? Can I see the current list of investments?” My first action the following Monday was to print out a copy of each and every investment in our endowment, place it in a folder, and put the folder in the front office. I sent a message to all members explaining that the investments were listed in a folder that they could examine at any time in the church’s office. You know the rest. Not one person checked the folder. However, creating and placing the folder in a public place did stop the regular comments about the need for more transparency about the endowment. People didn’t want to see the information. But they wanted to know that they could see the information if need be. The availability of information was a form of transparency in and of itself. In some instances, such as this example, the request for more information is absolutely reasonable. Too many people have been hoodwinked by politicians, pastors, boards of directors and others for us to expect them to trust us automatically. The malevolent actions of some leaders and managers have created a permanent cloud of suspicion that hangs over the head of every leader and organization. The lack of trust isn’t about us personally (usually). It is much more pervasive. The lack of trust is directed at everyone and everything. The only way to deal with this type of mistrust is to make available/transparent as much information as is possible. Apart from personnel matters, I can think of little in the life of a congregation that shouldn’t be available to any and all members. Indeed, most of our information can be made available to the general public on a website without harming anything or anyone. The last question is important to pose, although not in anger. When the demands for increased transparency appear, we need to ask those making the demands, “What do you want? What will make you content that this is a transparent organization?” We shouldn’t try to answer the question for them. Because, in too many instances, the person asking the question doesn’t have a clear understanding in her/his mind what transparency might look like. Let them struggle with what they want until they can articulate it. Sometimes the demand for transparency masks another concern. Maybe they don’t like the direction in which the congregation is moving. Maybe they have a bone to pick with the pastor(s) or governing board. Whatever, continuing to try to please these folks with an unfocused idea of what constitutes transparency will fail. In other words, the demand for transparency has become, in some instances, a stalking horse for another agenda or concern. We can’t deal with the real concern until we get rid of the transparency stalking horse. So we need to ask folks to define what they want in the way of transparency. To me, a transparent organization is one that supplies information before it is requested. As mentioned, there is some information about personnel that we may not be able to supply. Let’s explain why we can’t make such information public. Otherwise, let’s get information out where it can be easily accessed by those who need it. When we are truly transparent, we make it very hard for critics to use lack of institutional transparency as a rallying cry for their personal, non-transparent agendas. How many heads of staff have dreaded a performance review meeting with an individual staff member who is underperforming? How many staff members have felt unfairly labeled as an “underperformer” when, they believe, the performance problem is elsewhere? I think the number is legion! Congregations are behind the curve by continuing to focus on individual performance as they evaluate why or why not they are meeting the goals in their strategic plans. Back in the 70s and 80s, the Japanese figured out that placing responsibility within teams is a far better way of dealing with the “performance issue.” If a particular team is underperforming, let them thrash it out amongst themselves as to what needs to change to improve performance. If the team thinks it is the larger system that has the problem, let them make their case to the company’s other teams. The success of Japanese businesses in those days caused American companies, the U.S. military and many others to take notice. The switch to a team approach to accomplishing work has become a movement. The high-tech industry has almost turned it into a religion. In a one-on-one performance review, it is very easy for either party to feel they are being treated unjustly. The boss can feel as though she is being treated like an autocrat when, in fact, she is simply trying to fix a problem. The employee can feel as though she is being scapegoated. In a team meeting, it is hard for an under-performing employee to ignore all the voices of his teammates. He can’t blame the “unsympathetic boss” because there isn’t one. There are teammates letting him know that he needs to step up his work performance. In continuing to use highly individualistic approaches to performance reviews, congregations are more than alienating everyone involved in the process. They are ignoring that congregations are systems. As systems, problems tend to be masked behind things such as individual performance. I knew a congregation ran through Christian Educators, blaming one after another for not getting the job done. 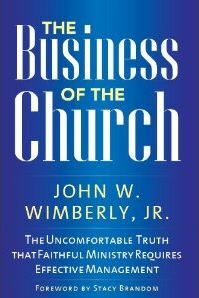 It never occurred to the congregation’s leaders that the problem was not the individuals but the congregational system itself. Within the year, I will have a book out on teams. However, there is no need to wait for it. 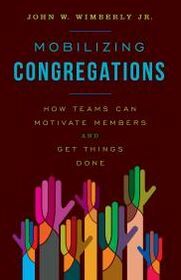 I highly recommend that congregations now begin making the move to teams that many, many organizations made decades ago.